Delta Temp2O Shower Head now reached to the shower heads to make intelligent decisions and display the temperature on an LCD display on the shower head. How many times have we burned ourselves or took the chill in the shower? Even with extreme calculations and estimations we end up turning the shower tap to the wrong temperature. This shrieking in the shower has come to an end with the help of Temp2O Technology invented by the Delta faucets. The advancement in the technology has now reached to the shower heads to make intelligent decisions and display the temperature on an LCD display on the shower head. This allows us to be careful and help adjust the temperature to the desired number. Let’s find out more about Temp2O Technology. 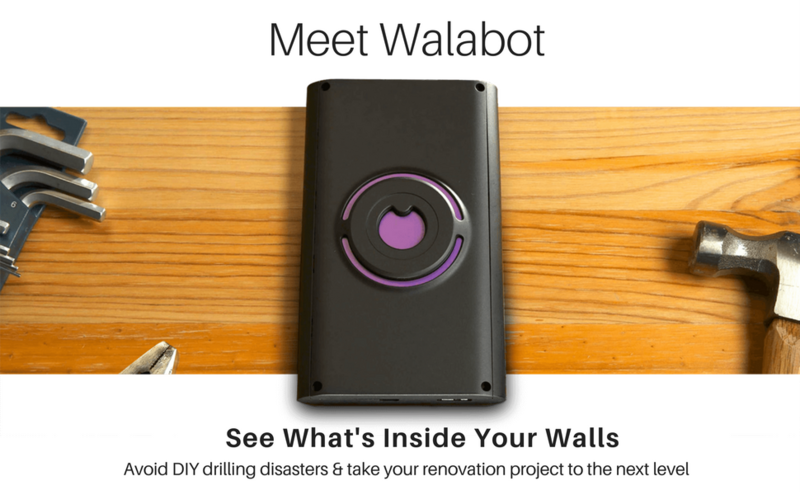 Download the Walabot DIY app and plug it with the Walabot DIY sensor and you are ready to scan the walls. This helps you see through the walls and helps you to proceed with caution. Know more about Walabot DIY here. Temp2O Technology in Shower Heads is a clever invention to display the shower water temperature. It will save us from the burning or the chill and make the shower relaxing and trouble free. The exact water temperature will be displayed on the LCD screen and if is undesirable, you may adjust the lever to make the water temperature comfortable. Delta faucets make this technology available for both shower heads and hand showers. Having this intelligent Temp2O Technology in the showers and also in tubs when needed, makes the kids bathing easier and relaxed for them. How does Delta Temp2O Shower Head work? As said earlier, the LCD display will show the water temperature to help you adjust it as required. This LCD display works on hydropower and does not need a battery or electric current to work on. When the tap is turned on, the water flows out which triggers the power to work the LCD display. The LCD display has color indicators to show the range of the temperature. Blue color background indicator shows that the water temperature is cold or below 80 degrees. The magenta color indicates that the temperature is warm or between 80 to 110 degrees. If the LCD display indicates red color, the water is too hot and is higher than 110 degrees. So these indicators will first show the range of the water temperature. This Temp2O Technology works the same in shower heads, tub fixtures as well as in hand showers equally and similarly. Also, the temperature may be set to display on Fahrenheit or Celsius. The showerheads that have the Temp2O Technology will also have other intelligent features. There are 6 different shower settings for the shower heads such as massage, shampoo, and drenching with 2 options in each setting. The shower heads are also useful to allow less water wastage as it uses only 2 gallons of water per minute. This is almost 20% less than other showerheads. These Delta faucets shower heads will be beneficial for you and to the Mother Earth equally. What about the maintenance of Temp2O Technology shower heads? The Temp2O Technology shower heads does not require much maintenance. Rather, these Delta shower heads are NO maintenance accessories. There are no batteries used that need change, or the risk of an electric shock. 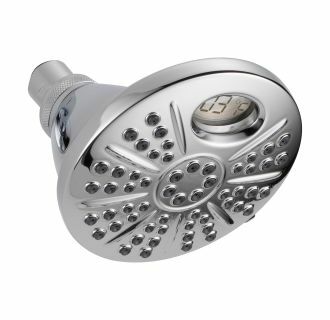 The shower heads are made with durable metal with quality finishing. It is also easy to install and does not require a professional assistance.